TEN ESSENTIAL THINGS that a lawyer should do for you… even before the lawsuit is filed! If you are injured in an accident, there is a lot of work to do in protecting your interests. If you are in an accident, you can protect your own interests by having the Hudson Law Office CRASH App on your Smartphone. You can find out more about it HEREHERE. With photos, video or witness statements. Obtaining and organizing estimates for auto repairs and negotiating your property damage claim with the insurance company. Who is willing to testify, if it becomes necessary. To make sure that you are seeing the appropriate specialists to properly document your injuries. Sometimes doctors treat your symptoms without performing the diagnostic tests which can show whether your pain comes from muscles and ligaments, or a bulged or herniated disc. The difference is critical to your claim. So that your entire course of treatment is documented. So that it is easily understood what has been paid or not paid. To see if a satisfactory settlement is achievable without having to file a lawsuit. To reduce their bills so that your recovery is maximized. Out of the settlement, so that there are no surprise bills after the settlement funds have been obtained and spent. Before the first legal paper is filed in court, the above tasks are all critically important for a satisfactory settlement. In fact, if the proper attention is paid to the above steps, it is often unnecessary to proceed with costly and time-consuming litigation. 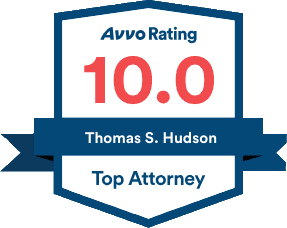 At the Hudson Law Office, we have been representing injured persons for over 30 years and have specially trained personnel to make sure that your case is given the attention it deserves. We want to go to bat for you. Call us today at (941) 358-5400.